This song was written for the film Not As A Stranger, released in 1955. It starred Robert Mitchum and Olivia de Havilland; the co-stars included Frank Sinatra, Broderick Crawford and Lee Marvin. 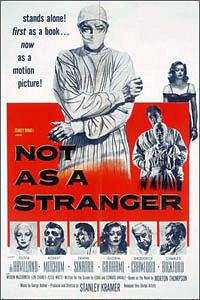 “Not As A Stranger” was recorded on May 11, 1954 and released that year as a single. It was arranged by Percy Faith.